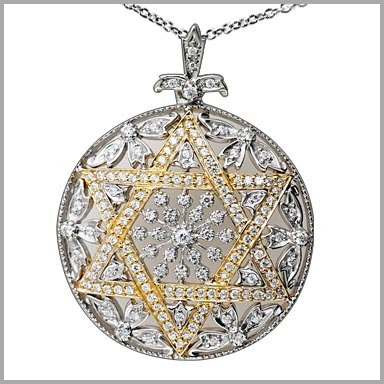 14K WG Decorative Star of David Diamond Disk Pendant w/ Chain . 1.3025ct diamonds. Create a style of shimmering brilliance with this lovely pendant. 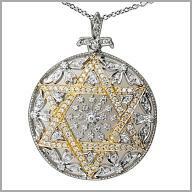 It is made with polished 14K white gold and features 163 round cut diamonds in rhodium plated bead settings in a disk design pendant with a Star of David in yellow gold. The total diamond weight is approximately 1.3025ct (color: GH, clarity: SI). 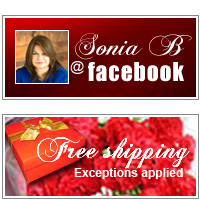 It measures 1-1/2" x 1-3/16" (width of 1/4") and comes with a 18" chain that has a lobster claw clasp.